UN vs UK – What’s that Policy called again? If you were to paint a picture in your mind of what a female UN representative from Brazil looked like – who was in charge of making sure the world has adequate housing – then you would envisage someone who looked like Raquel Rolnik. A zany job for a zany character. I don’t know if it’s the accent or the hipster-style pink framed glasses but I’m tremendously in love with Ms Rolnik. The UN delegate came to Britain last month and sampled some of our cities’ accommodation, including Glasgow and Edinburgh. This isn’t a Channel 4 original, her job is to write reports and make suggestions to governments about how to improve housing policy as part of the UN’s human rights council. Despite her report on Britain’s housing not being due until next spring, the Brazilian released a statement after her two week stay in the UK which condemned the bedroom tax – correction, I do apologise, “spare room subsidy”. Cue ministerial backlash. What followed was a farcical row over biased comments, agendas and who had meetings with whom. Of course, it depends on how one defines “meeting” – Eric Pickles, communities secretary, allegedly “popped in” to one of Ms Rolnik’s presentation. Ms Rolnik says the government made no effort to cooperate; the government says Ms Rolnik came with an agenda. But Conservative ministers are angry because Ms Rolnik never used the correct name for the policy: calling it the “bedroom tax” instead of “spare room subsidy”. Once again, the real debate has been squandered and British politics had descended into the blame game and name calling. The important issues at the heart of the bedroom tax have been eclipsed by petty and trivial details: names, meetings, who said what, where and when – who cares! The fact is that there is a debate to be had over this controversial policy and neither the UN nor the British government seem to be taking it seriously. 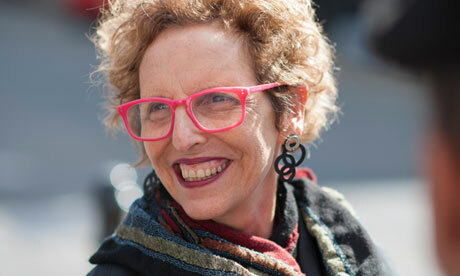 Ok, admittedly there is a strong feeling of biased exuding from Ms Rolnik – it’s definitely those pink glasses. But a report on the state of housing in Britain should be welcomed when the politicians are currently fixated with building homes; Ed Miliband recently pledged 200 000 new homes a year by 2020 if labour win the next election. Furthermore, a study from the UN could help illuminate existing problems of poor quality housing for those on low incomes. Its findings could result in progress if the politicians listen. Britain champions human rights so let’s work with the UN when we have the opportunity; after all, it’s not often the UN do anything that’s any use to anyone. Ms Rolnik denies bias, but apologising for calling it the “bedroom tax” she said that was “what everyone had been calling it since I got here.” Indeed, she walked straight into the battleground. Trending Debate: Should full face veils be banned in some jobs or positions?